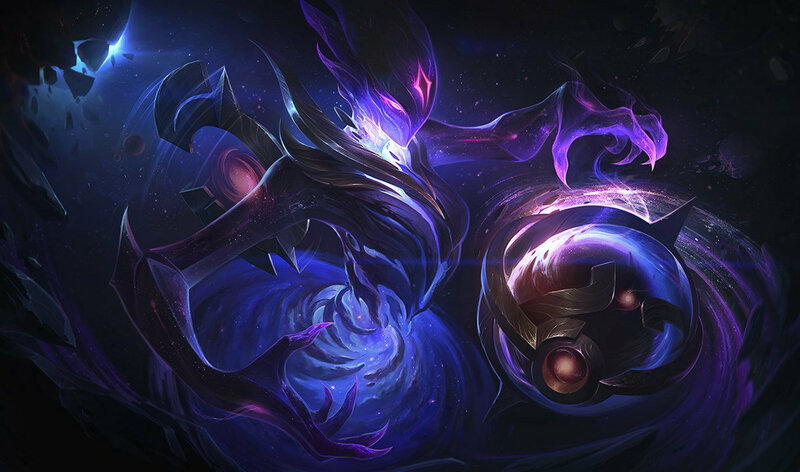 Official Patch 7.9 Notes Released! 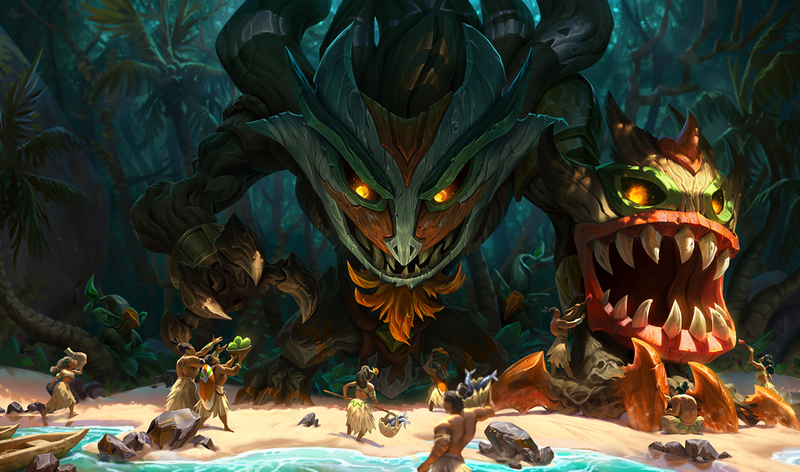 The mid-season patch is here at last, and the fabled tank rework is in full swing with Maokai, Sejuani, and Zac receiving big changes to their kits coupled with a slew of new items. Check out the full details below! The midseason train is leaving the station, so hop onboard and we’ll take a look at the cargo we’re carrying. 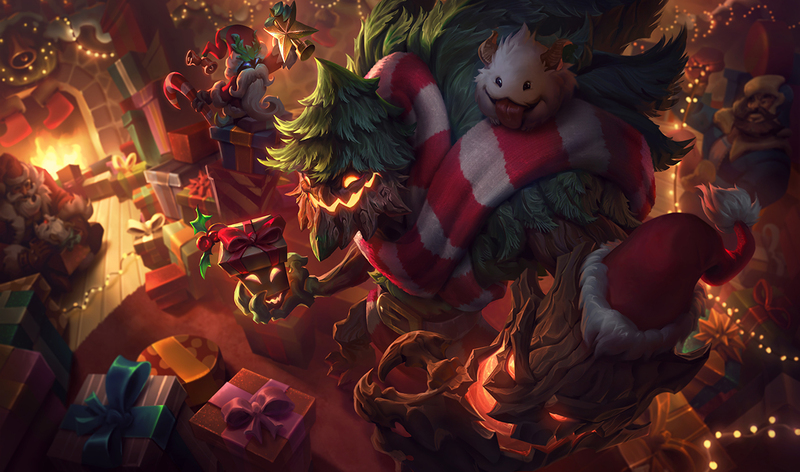 In the first row we have the Maokai, Sejuani and Zac updates. We’re making their kits more distinct and sharpening each of their identities. With tanks on the mind we seized the opportunity to revisit our durability items and how resistances were performing in general. We have some good stuff down below with new items like Gargoyle Stoneplate and Adaptive Helm, as well as shifts of power in items like Guardian Angel and Abyssal Scepter. Since we’re on the subject of items, we also wanted to make sure our damage items play nice with the durability changes above. We’re cool with how ability power items are doing, but to hit the right balance on the AD front we need to siphon some power from armor penetration into other stuff. We’re also adding quests to Support starting items! We wanted supports to have more room to be interactive and meaningful in lane without throwing raw stats and gold at them. We’re also improving the clarity around how they support their team: items now have more detailed stat tracking, crowd control is more visible, and the end-of-the-game screen has some beefed up stats! 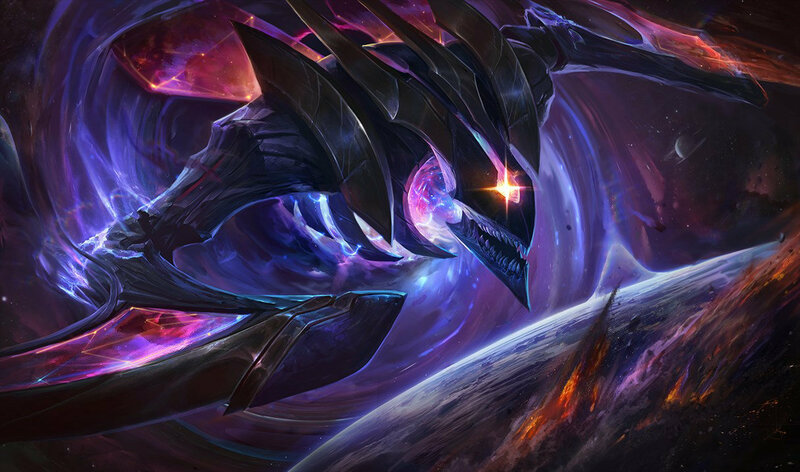 Last but not least, Rift Herald has a brand new encounter and reward. Whenever defeated, she can be summoned to wreak havoc on the closest lane - you better pay attention to her otherwise there won’t be much of your base left. Now that we’ve gone over our itinerary, it’s time for this train to get rolling. Choo Choo. While most tanks bring specific strengths to the table, Maokai does everything at once. So, when the Twisted Treant is at- or above-par with his classmates, he quickly becomes the go-to pick. At the same time, no specific strategy or team comp depends on Maokai’s particular set of skills to succeed. When he’s weaker than other tanks on average, he vanishes off the face of the earth. This update's about establishing strategies and situations where you really want Maokai, as well as ones where you really don't. We're shaving away generic strengths like Vengeful Maelstrom and its damage reduction aura, and replacing them with situationally-powerful tools like Nature's Grasp, which can lock down bunches of enemies at once but requires setup to succeed. 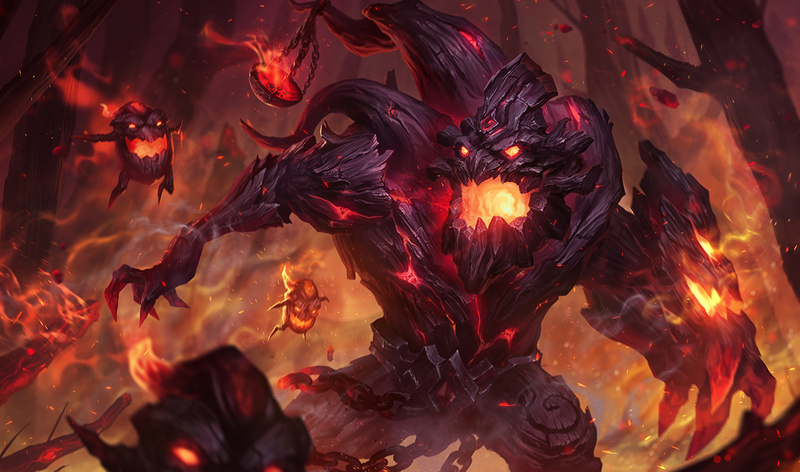 With new potential to claim and control areas (plus a clarified hatred for spellcasters), choosing Maokai is now a much more intreeguing decision. TREEMOTIONALMaokai’s VO has been updated to match his lore. He’s a mad tree, not a sad tree. Saplings tossed into brush become empowered, lasting longer and dealing extra damage. NEWFAT SAPLINGSSaplings tossed into brush last 30/40/50/60/70 seconds and have a larger detonation radius. Enemies caught in the explosion take 100% additional damage over 2 seconds. Nature’s Grasp creates a massive wall of brambles that slowly advances forward. Each bramble damages and roots the first enemy champion hit. BRAMBLESThe wall is comprised of five brambles, each of which can affect one champion. In terms of what's new, we're keying into Sejuani's themes of Freljordian warleader and heavy cavalry. 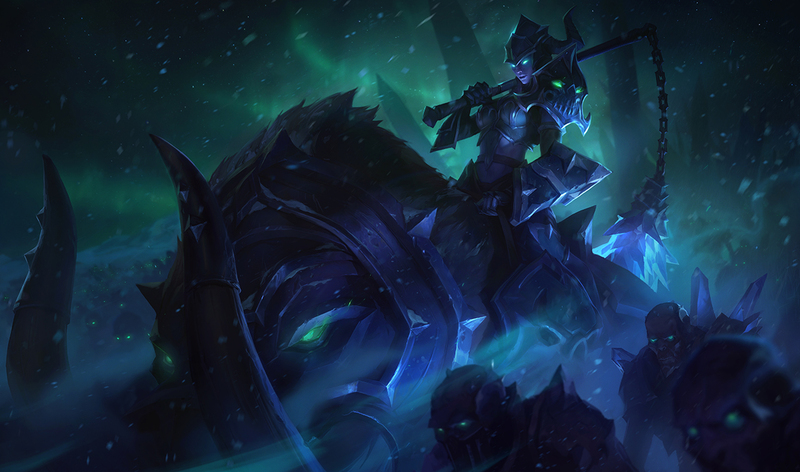 Frost Armor now augments her mount, Bristle, allowing Sejuani to charge into battle unfettered by slows. She calls melee allies to arms as she approaches the fray, empowering their strikes to render enemies vulnerable to Permafrost's point-and-click stun. 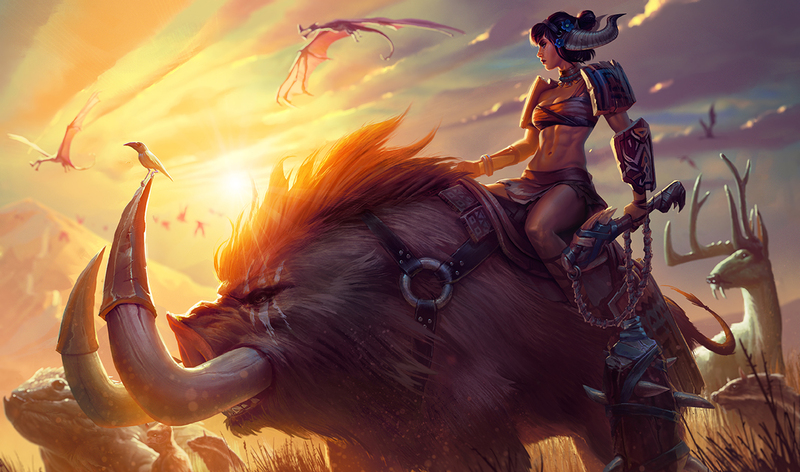 With greater strength in her basic abilities, Sejuani’s the tank to pledge fealty to when your team prefers to get up close and personal with the enemy. FROST ARMOR: After not taking damage for a while, Sejuani gains bonus resistances and slow immunity. Frost Armor briefly lingers after Sejuani takes damage. ICEBREAKER: Enemies stunned by Sejuani are frozen, causing her first spell or attack against them to deal bonus damage. Sejuani swings her mace in an arc, then lashes out in a line. Both hits deal damage and apply Frost. LIKE LUCIANSejuani can move freely during Winter’s Wrath. Both swings will strike in the cast direction, but their hitboxes follow Sejuani’s movement. FROSTY STRIKESSejuani and nearby melee allies apply Frost with their basic attacks, stacking up to four times. Sejuani can cast Permafrost on enemies with max Frost stacks. Sejuani throws her True Ice bola, damaging and stunning the first enemy champion hit. Bolas that travel before exploding are empowered. Empowered bolas also leave behind an ice storm that explodes after a brief delay. #CLEANNUMBERSRounded a bunch of stats by very small amounts. Move along. Provides health and magic resist. Increases durability against repeated casts of the same spell. Tanks have been struggling to deal with certain types of magic damage, specifically battle mages like Ryze or Cassiopeia who churn spell after spell into their enemies. Because burst mages have longer cooldowns - and rarely enough damage to one-shot tanks, tanks are less likely to die to them than they are the followup damage from marksmen. Battle mages - with their low cooldowns - circumvent that pattern by continuing to threaten tanks throughout a fight. This leaves tanks feeling a bit underwhelmed with their available MR against battle mages. We can’t simply tune up MR items, however, without causing tanks to entirely invalidate other mages. Instead, we’re introducing Adaptive Helm to allow tanks some breathing room against persistent spellcasters. Tanks already have items that are tuned sustained damage from physical sources, with items like Randuin’s Omen or Frozen Heart helping them weather the storm. Adaptive Helm is a similar item for incoming magic damage. UNIQUE PASSIVETaking magic damage from a spell or effect reduces all subsequent magic damage from that spell or effect by 15% for 4 seconds. Provides armor and magic resist. Gain more resistances when near multiple enemy champions. Active grants bonus health but reduces your damage; more health granted if near multiple enemy champions. Two types of champions stack durability items: fighters, and tanks. Tanks go all in on durability, so they can keep protecting, disrupting, and enabling carries throughout a fight. Fighters, on the other hand, want to pick up a bit of durability but ultimately care about their damage as well. This puts pure durability items in a weird place. If they provide too much raw tankiness, they risk making fighters too hard to duel. On the other hand, if they don’t provide enough, tanks eat too much ambient damage in teamfights to feel safe doing their job. We’re introducing Gargoyle Stoneplate to give tanks - and maybe fighters who have already fallen behind in the one-on-one - the option to gear up for teamfights without making them impossible to duel. UNIQUE ACTIVE - METALLICIZEFor 4 seconds, grow in size and gain bonus health equal to 40% of your maximum health, but reduce damage dealt by 60%. If Stone Skin is active, the health increase becomes 100% instead. Health is a pretty generic stat, making you tanky against everybody. Resistances are a bit more sharpened, granting increased durability against one type of damage. And then there’s the unique effects on each item, which are much more specific. At the moment, we think items which provide health and resistances are falling too far towards the generalist end. Most of those items split their stat value about 50/50 between health and resistances. Since health is such a generic durability stat, that gives tanks a pretty efficient one-item power spike. We want the type of damage you itemize against to be more of an intentional decision, so we’re tweaking those generalist items to be more directed in what type of damage they protect against. In other words: less health, more resistances, stronger unique effects. Health down, armor up. Burn radius down. Burn damage down versus champions, up versus non-champions. Sunfire Cape has been the top lane first-buy for quite some time, and it’s not hard to see why. With waveclear, durability, and champion combat power, it has everything a growing top laner needs. We’re sharpening its identity as the “pushing” item by pushing (sorry) more strength into damage against non-champions - at the expense of dueling potency. Burn radius down. Burn damage down versus champions, up versus non-champions. Higher burn damage to monsters should help tank jungler clear speed without overtuning their dueling potential. It also now matches Sunfire’s burn numbers, which is nice from a symmetry standpoint. Health down. Magic resist up. Healing bonus up. Magic resist tank items aren’t very robust at the moment. Spirit Visage is by and far the top choice, and Banshee’s Veil is pretty much there for more stats. Spirit Visage is meant to be enticing for champions with high healing (or a strong healer on their team), but we don’t want it to outshine every other option in every other case. Now that tanks have more magic resist options available, Cowl doesn’t need to be quite so potent on its own. Dead Man’s Plate is designed to help melee champions close the gap so they can put the hurting on their opponents, but it was also bringing a lot of unnoticed damage of its own. We’re trimming the smaller damage moments in favor of more uptime on chasing power. REMOVEDCRUSHING BOOPBasic attacks while below 100 Momentum stacks no longer purge current stacks to deal damage. Instead, they reduce Momentum stacks by 15 for no bonus effect. Health down. Crit strike damage reduction up. Active slow strength up but duration down. Randuin’s Omen is “the health/armor item that’s pretty good against basic attacks”. We’re sharpening that even further by greatly increasing its power against critical strikes, while reducing its effectiveness against other threats. Warmog’s Heart passive activates at a lower threshold and regenerates more health. Pulling health out of our tank items left Warmog’s Armor feeling a bit inaccessible. We’re compensating for the lower expected health from items, while also providing light buffs and quality of life improvements to its passive. Now a mage item! Health removed, ability power added. For tanks, Banshee’s Veil isn’t bought for being Banshee’s Veil, it’s bought because it’s another Spirit Visage stat line. When it comes down to it, a spell shield is a much more carry-oriented ability, because tanks won’t instantly die if caught out by stray crowd control. We’re reworking Banshee’s Veil’s statline to make it more enticing to carries. Now a tank item! Health added, ability power removed. Like Banshee’s Veil, Abyssal Scepter is an item whose passive doesn’t quite line up with its statline. An area-of-effect damage amp is much more appropriate for a durable champion that’s comfortable in the thick of things, but the ability power currently on there makes it much more appropriate for mages. We’re shifting stats around to make Abyssal Scepter the item for tanks who feel comfortable sacrificing raw durability to give their team a bit more damage. Now a physical damage item! Attack damage added. Magic resist removed. Like Banshee’s Veil, the Guardian Angel passive is much more appropriate for carries who could easily find themselves bursted in an instant and in need of a second chance. While we toyed with the idea of finding a way to make the resurrection effect available in both magic damage and physical damage forms, mages have Zhonya’s Hourglass for a stasis effect, and two stasis effects makes for a really frustrating “playing against” case. As a result, we’re retuning Guardian Angel to have more appropriate stats for carries who churn out physical damage. Base attack damage bonus up. Lifeline shield now scales with bonus health, not max health. Sterak’s Gage is supposed to be a clutch tankiness item for Juggernauts, giving them the base damage increase and burst of durability they need to withstand focused fire. We’re doubling down on that by tying its scaling to bonus health (rather than base health) and upping the damage scaling to boot. With their health-heavy builds and base attack damage, Juggernauts (and other fighters) should feel best about these changes - especially in the late game. UNIQUE PASSIVE - LIFELINEUpon taking at least 400-1800 damage (based on level) within 5 seconds, gain a rapidly decaying shield for 30% of maximum health for 3 seconds ⇒ 75% of your bonus health for 8 seconds. No longer reduces damage from basic attacks or single-target spells. Now regenerates health after taking damage from an enemy champion. Doran’s items give champions a lot of laning strength at the expense of mid-to-late game slot efficiency. In that context, Doran’s Shield is the item that lets you weather a tough lane, so we’re updating its passives to keep you in lane and help you last hit while you save up for your big-ticket items. Blade of the Ruined King’s 7.6 update put it on the strong side, making it the go-to item for every marksman. Alongside with a small tune down BotRK (just a small one, given the durability changes), we’re giving other items a bit more power to restore diversity to the marksman itemization landscape. Crit is an integral part of traditional marksman itemization but it’s been underperforming for a while. We’re giving marskmen earlier access to their one-and-a-half item power spike (Infinity Edge + Zeal, generally) while also sharpening the identities of each Zeal upgrade. Runaan’s Hurricane is supposed to be about area of effect damage and waveclear, but due to all the things it offers (smoothest build path among all Zeal items, best raw single target damage per second due to the on-hit damage and best area damage) it was simply the best choice in all cases. We’re shifting power to the secondary bolts - preserving Hurricane’s identity as the area-effect Zeal upgrade - but the other things must go. Rapid Firecannon and Statikk Shiv cannibalize each other’s strengths due to Energized proc damage not stacking between sources. We’re trying to better differentiate the two in ways that also make their combination more compelling (Long range chain lightning? We’re in there.) RFC is here to not only amp up your range but also charge your other Energized effects faster. Rapidly, one might say. Rapid Firecannon and Statikk Shiv cannibalize each other’s strengths due to Energized proc damage not stacking between sources. We’re trying to better differentiate the two in ways that also make their combination more compelling (Long range chain lightning? We’re in there.) Shiv already had what it needed to be the burst-oriented option (remember: the lightning can crit for double the damage) so we’re tuning it to push that distinction harder. Phantom Dancer’s already doing its own thing pretty well, so we’re adjusting costs to match the other Zeal upgrades and calling it a day. Let’s get straight to the point: between Lethality, Last Whisper, and Cleaver, there’s been too much armor penetration in the item system. With the shift in durability items to favor armor over health when dealing with physical damage dealers, those physical damage dealers can’t also have their current degree of effectiveness in mitigating those armor buffs. These numbers might look kinda harsh, but most of that power was siphoned into the crit and lifesteal item buffs above. Earn enough gold from a support item to unlock a new effect. Playing well as a support often means intentionally foregoing actions that grant gold or experience - the two main axes of power in League. In the past, we’ve given supports their own unique items to prop up their lower gold income, but this led to problems (and subsequent nerfs) when other positions found ways to abuse them. We want to give supports additional rewards for good play that aren’t just gold and experience. While the Targon’s and Spellthief’s lines encourage supports to play an active role in the laning phase (last-hitting/trading), Ancient Coin’s gameplay consists of “be in lane”. We want to make Ancient Coin’s rewards less consistently safe, allowing users more ways to show off skillful aggression while giving opponents more opportunity to punish mistakes. WAHOO!UNIQUE Passive - Favor: Nearby enemy minions killed by anyone other than Ancient Coin’s holder have a chance to drop either a gold or mana coin to picked up by the Coin user. (Think Thresh souls.) After one coin type has spawned, the next spawn is guaranteed to be the other type. Supports often lag behind the rest of their team in experience, denying them access to base stats and skill ranks. Ancient Coin’s new quest gives supports a boost to stay competitive in ability ranks, granting them a skill point when they complete it. ABOVE AND BEYONDOn quest completion, gain an Elixir of Skill that instantly grants a skill point when consumed. (You still have a max of 18 skill points per game meaning you’ll finish leveling your abilities at level 17.) The elixir is automatically consumed if no inventory space is available. Tanks want to be more tanky. A sweet shield - regenerated over time and accelerated by executing minions with Relic Shield - should give tank supports the durability they need to withstand poke, as well as a chunk of health to bolster their initiations. USE PROTECTIONRelic Shield’s item line gains Shield Battery on quest completion, granting a permanent shield that regenerates out of combat. Executing minions accelerates the regeneration. 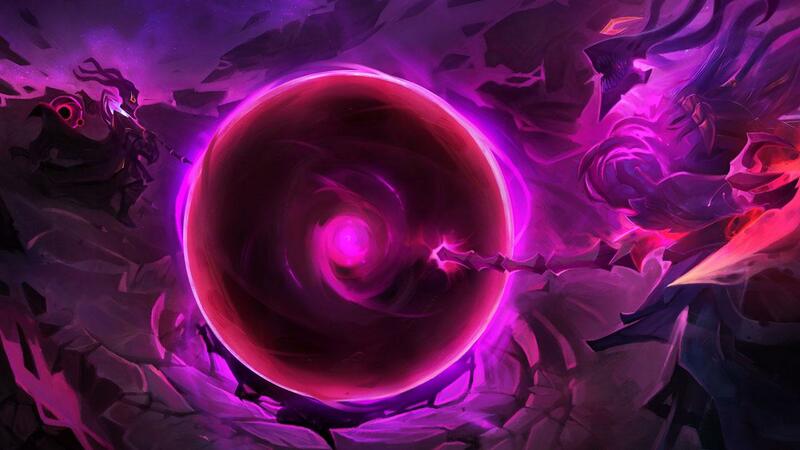 Most mage supports already churn out pretty decent damage (looking at you, Zyra/Brand), so rather than give them more damage as a quest reward, we wanted to give them something that feels distinct from the mid lane experience. Extra mobility gives them a tool to dance in and out of fights, giving them a unique reason to be played as supports, rather than mid laners. Many aspects of League showcase damage and kills, but not many focus on what leads to those outputs - the stuns, heals, peels, and big beefy cows that set you up to kill the enemy squishies. We’re making the contributions of said unsung heroes more prominent, with the added benefit of improving tactical clarity for all. This is our first step of many towards improving this space - look for more across the rest of the season. Crowd control effects can be easy to lose amidst the hubbub of battle, even moreso in a full-on teamfight. By temporarily replacing Summoner Names with the name of the effect, recognition of this vital information goes up. With this, you can tell just how many friends Amumu’s trying to make. 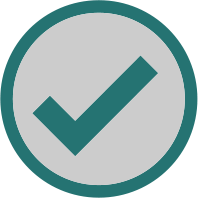 ICON’T BELIEVE ITCrowd control icons have been updated! Four new stats have been added to the End of Game screen for your perusing pleasure! HOLD UPCrowd Control Score (duration of all crowd control you applied over the game)*This one needs a bit more time in the shop. Look for it in a future patch! Ever wonder just how effectively you used your items? Wonder no longer, as we’re giving you numbers to track the answer to that very question. Gloat on, friends. It can be hard to tell, and thus appreciate, who cast certain summoner spells or items on a target. This change adds a small VFX trail from caster to castee. Our old death VFX were too slow and too subtle. We want players (and viewers) to be able to instantly discern when an ally or enemy dies, so we updated the VFX to be much snappier. This better communicates the flow of a teamfight. The active (castable) portion of our items contain a lot of power and gold-efficiency … when used. This change adds a thicker and more prominent border to our major activatable items, reminding you to take full advantage of pickups such as Redemption, Zhonya’s Hourglass, and Blade of the Ruined King. Rift Herald has new visuals, a new fighting style, and can be summoned to wreak havoc to turrets. We always wanted Rift Herald to be a compelling objective up toward top, but she’s historically failed to earn her place on the map. So, we revisited the encounter and its rewards for midseason. With a brand new fighting style (but same lack of protective eyewear), Rift Herald will feel like a more epic fight. Once defeated, the big changes come into play. She is imprisoned in a trinket that can be crushed to summon her. Once unleashed, she marches down to the nearest lane, ignoring enemy champions in her mindless drive to slam turrets (and inhibitors and the Nexus) into little pieces until killed. So maybe try to kill her while you still have a base left. NEWRift Herald is captured in the Eye of the Herald when killed. Any member of the team that killed Rift Herald can pick it up, temporarily replacing their trinket. DURATIONEye of the Herald expires after 4 minutes if not used. Collateral Damage can have strong combo potential, but Graves can't have a built-in way to ignore its tradeoffs. Cleanin’ up a bunch of stuff. PREMEDITATIONRenekton no longer ignores inputs during his ability’s cast times. Once an ability has completed, he’ll move on to the next queued action. Spell Flux still spreads if its target dies while E is mid-air. We’re making Spell Flux more forgiving on higher-latency environments. At its old price tag of 750 gold, Poacher’s Dirk was almost always a worse purchase than two Long Swords. We want to make Poacher’s Dirk a more competitive option, but we don’t want to power creep the item system. So we’re shrinking its cost and its stats. If you have the option to get two Long Swords, you’ll probably still want to go that route. But if you can’t pony up 700 gold, Poacher’s Dirk offers a chance to recover some tempo by making riskier plays, compared to the safer - but slower - option of stacking consumables instead. Dark Star: Singularity runs from 5/4/2017 at 11 AM PT to 5/15/2017 at 11:59 PM PT. Play as Dark Star Thresh in a 3v3 match on Cosmic Ruins, a new map with a Dark Star Thresh announcer and chilling new music. You can unlock two icons for this game mode. Look out for more information as the Dark Star nears. The following skins will be released in patch 7.9! 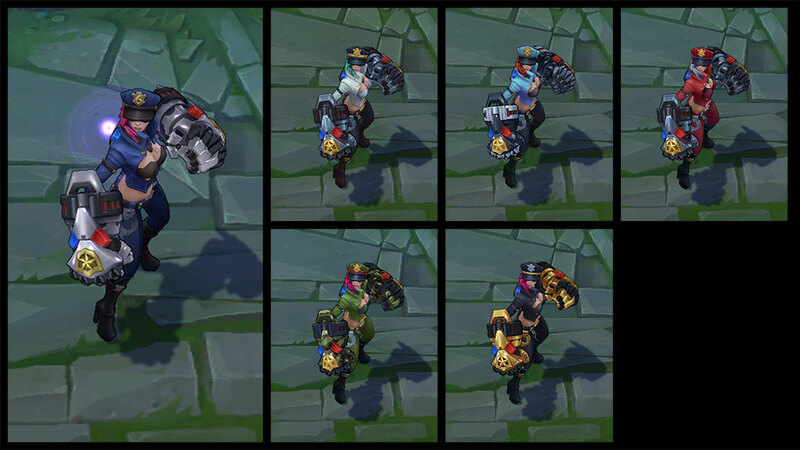 The following chromas will be released in patch 7.9!